ONCE MORE WITH FEELING: What's in your book? 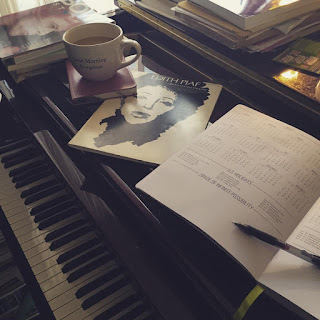 So, what's in your audition book? 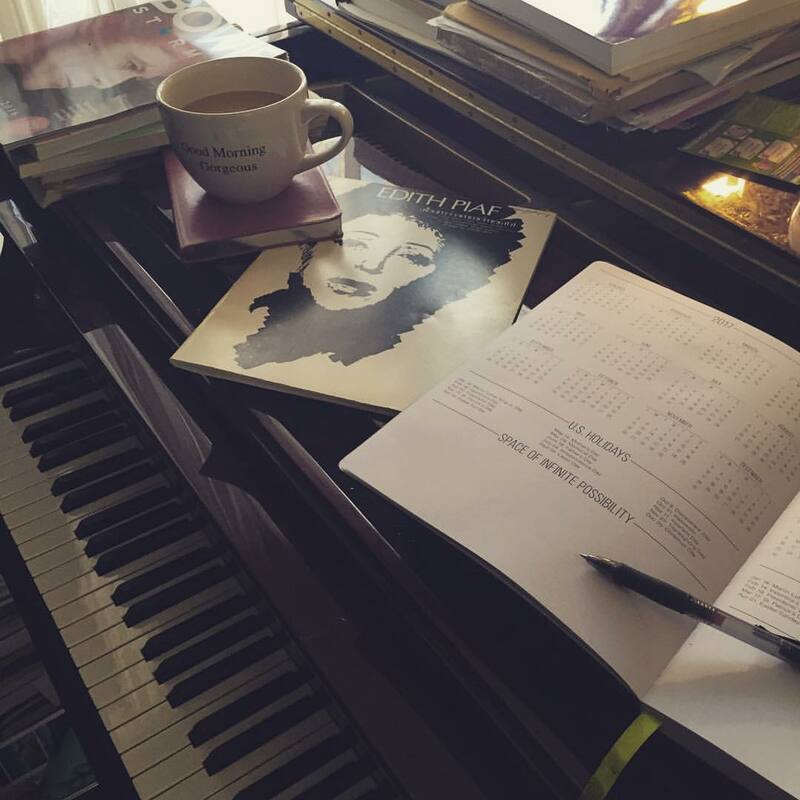 The audition book, regardless of your genre - Music Theatre or Opera - is an important part of what you are doing. It will morph and adjust as YOU do. I see the excuses "my book is such a mess" regularly. I see the automatic pilot "but I need this for xyz" regularly. I am daring you to re-think ALL of this!! Look at your audition book as your closet. Some of us just keep putting stuff in that closet and can't find anything. See where I am heading with this? The audition book should, first and foremost, reflect where you ARE. What are you able to DO vocally and dramatically? Where is your voice NOW? What roles would you be considered for NOW? What do you want to reveal about YOU right now? Little secret: nobody does YOU better than YOU. So it's up to you to find out what that is. Another little secret: YOU is constantly morphing so your audition book needs to catch up with that! When you leave your Music Theatre program your book weighs about 8,000 pounds and you have every possible genre/sub-genre in a 16 and 32 bar cut. Why? Because you were in school and you had learn about all of it!!! When you are in your undergrad/grad studies as a classical singer and you are on a Young Artists Program track, your audition book will have at least 5 languages and many eras of opera and art song contained. Why? Because you were in school and you are still determining your fach! Are you becoming an emerging professional? Are you beginning to be seen and auditioning for professional work? Guess what? The audition book has to change. What is your technique ready to handle NOW? the audition book has to change. What roles are you ready to take on NOW? the audition book has to change. What do you actually DO well? the audition book has to change. What do you want them to see about you in the room? the audition book has to change. What do you actually LOVE SINGING? the audition book has to change. It is up to YOU to figure out where you are and how you reveal that in the room. Holding onto that 8,000 pound book or "my 5 in 5 languages" either says you are still there or says you don't know where you are now. Time to clean out that book and start fresh. In Music Theatre, all the coaches and conductors I know and respect say you often only need 6 - 8 songs in your book. Yes, you read that correctly. Why? Because you aren't going to be right for every genre/sub-genre of theatre. You need to be aware of them, but you don't need to waste your time and theirs by going into an audition you simply aren't right for. You are not going to audition for everything. You need to figure out what you are best suited for vocally, technically and dramatically and concentrate on THAT. What are you going to be hired to do? What can you reveal in the room that you DO? Find those songs that reveal that. Find those song that have multi-purpose so you can change your dramatic intention and make it work for another call, or choose to reveal something more specific or different to give the repertoire an opportunity to be multi-functional. "Yes, but I need an operetta piece." Why? Are you going to sing operetta? "Yes, but I need an R&B piece." Why? Are you an authentically charged R&B singer? See where I am heading here? You need to know WHAT YOU DO WELL. RIGHT NOW. Not what you wish you did. Now what you'd like to do. You need to do YOU. You have to figure out what you do. Vocally, technically, dramatically, physically, emotionally, psychically. If you don't know why you are doing what you are doing, then you are simply back in school jumping the hoops and not creating a professional mindset that you need. That reads in the room. When you are asked "what else do you have?" that question is often to find out more about what YOU DO. It doesn't mean they want something else that is show specific. Or, it could mean, what you just offered didn't reveal anything authentic and they want to know if you really know how to do YOU. Quit trying to please, to second guess, to "cover all the bases" and never really reveal yourself and what you do well. In opera, same things apply. Do you know what you DO? Does your repertoire reflect that? If you sing Mozart brilliantly and could sing those roles forever then why aren't you offering it? If you are a bel canto singer, why don't have you have THAT in your book? If you aren't any good at modern opera and dislike it, why are you offering it? "But I need a German aria..." Why? Are you going to be offered a German role? Are you sure? "...and there just isn't a lot for my voice." Doesn't that answer things for you? What do you love to sing? What roles and basic fach are you living in right now? What are you going to get considered for, or hired for NOW? If you are past the YAP then lose the mentality and claim your new emerging professional focus. You aren't a "baby" fach anymore - you need to reveal what you DO. What you LOVE. What you can inhabit fully without reserve or technical difficulty. We want to see YOU embody the aria, and the joy that allows! We want to see your list in an audition that reveals what you do right now, in fach, voice, in technique, in dramatic embodiment. If you have 3 Italians, and 2 moderns in English, so be it!!! That's what you DO! So, give yourself a minute. Take a breath. Sit down and begin to really focus in on what you do, what you love, what you choose to reveal and why. Then begin to go through that book and ask yourself why it's there. If it doesn't reveal anything authentic about you, if it doesn't give you joy, if it is a struggle, or a "have to", or even a "meh" - toss it. And if you have anxiety about tossing, then put it in the "other" binder. Your audition book will be lighter. It will reveal room for something new, something more real, something more you. It gives you permission to explore what else you can add, or maybe what doesn't need to be added in. Suddenly there's more clarity. It may mean more focus about what you actually DO instead of just jumping hoops. It may mean it's time to work on your technique and get some clarity there. It may mean some dramatic work. It may mean something else. It may create confusion which is an opportunity to grow and find the right clarity for now. So what's in your book? Why? What does it reveal about YOU? Start your spring cleaning and see what possibilities you come up with!!! Don't dread it - look at it as an opportunity to grow and become and discover. Only YOU can DO you. I dare you.